Rubber bands, objects, toys, plastic, furniture, wax, foam. 500cm high. 1999. 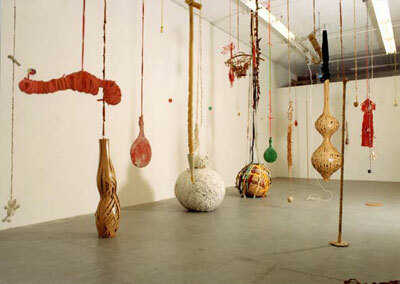 Installation view, Hooghuis, Arnhem, The Netherlands.